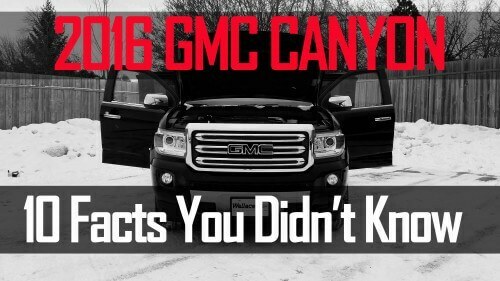 GMC Canyon - 10 Facts You Didn't Know! 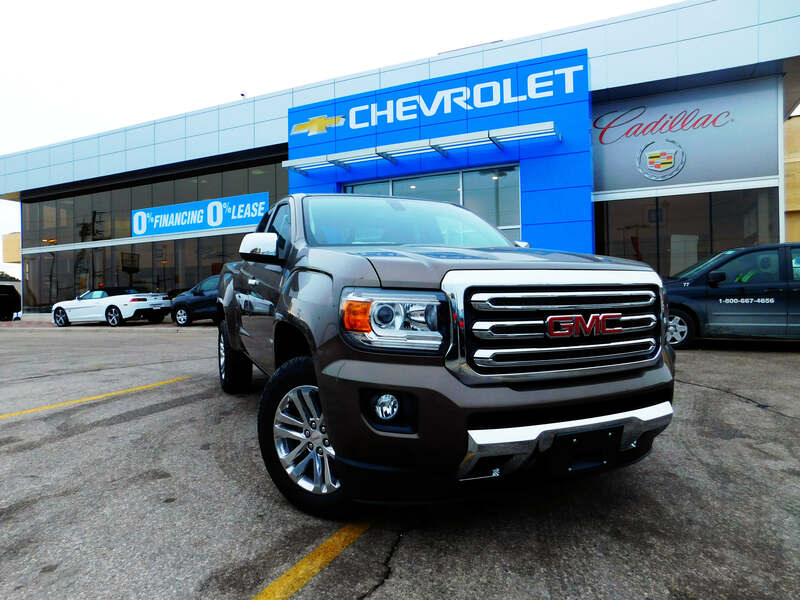 Wallace Chevrolet > Canyon > GMC Canyon – 10 Facts You Didn't Know! GMC Canyon – 10 Facts You Didn't Know! is here and we love it! It drives like a car, hauls like a truck, and returns the best fuel economy in its class! First seen on the new GMC Sierra & Chevrolet Silverado, the integrated step makes it easy to get in and out of the bed. Plus, it helps keep your bumper free of scratches from footwear! You’ll never worry about parking again thanks to a standard rear vision camera with integrated grid lines that help guide you perfectly into any space or spot! How does it compare to Sierra/Silverado? Before we go ahead and compare the two keep in mind the dimensions of the Sierra will change based on cab and and bed length! Looking for some extra space for friends? Be sure to spec the ‘Crew Cab’ model, as you’ll get a fifth seat located between the rear two. Spec the Extended model and you’ll get a little extra room for storage instead! Plan on hauling? Equip your Canyon with the V6 engine and Max Trailering package and you’ll be able to haul up to 7,000 lbs! That’s just 600 lbs shy of a GMC Sierra Regular Cab Standard Box V6! Like it’s bigger brother the Sierra, Canyon also features GMC’s signature C-shape lighting, and even base models get Halogen projector-beam headlamps with LED accents. You’ll also notice the C-shape in the rear light and on the interior dash vents! Canyon includes loads of handy interior cubbies and storage areas, but our favourite has to be the clever storage compartment hidden beneath the rear seats! It’s a great spot for an extra sweater or pair of work pants! Plus, the centre console includes a storage management system to help de-clutter phone cords! Those who appreciate a quiet cabin will love Canyon! 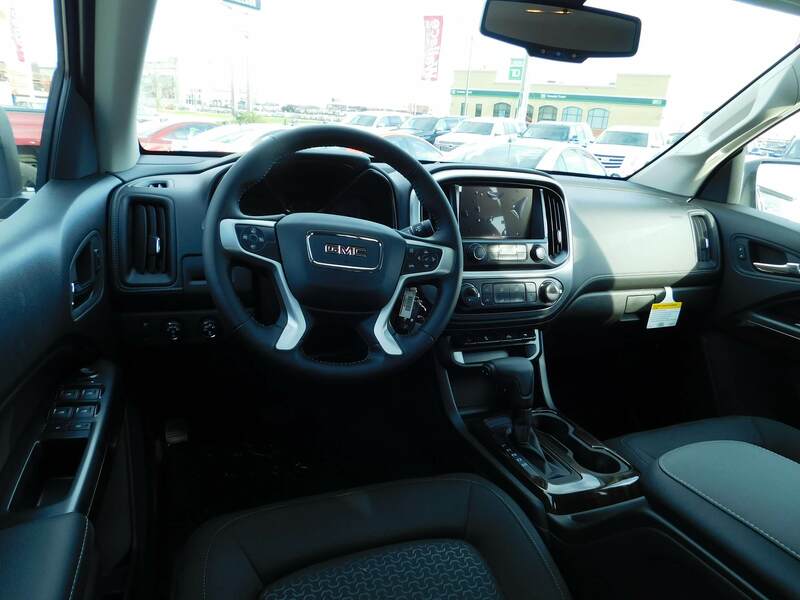 it features triple-sealed doors, like the full size GMC Sierra and Chevrolet Silverado! Plus, other touches like extra-thick windows, windshield and sheer-style body mounts that help minimize road harshness and noise. Canyon SLE & SLT models also come equipped with an eight-inch IntelliLink touchscreen fitted with Apple CarPlay & Android Auto, a seamless phone integration system that mirrors what’s on your Apple or Andrioid phone. Our favourite infotainment system yet!